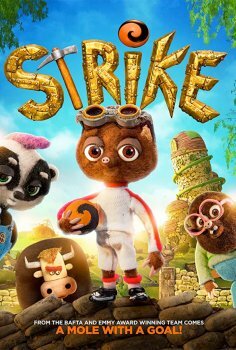 Strike - Available as a download or stream? The feature length debut from director Trevor Hardy is the stop-motion animated film, "Strike". The voice cast features Lizzie Waterworth, Ken Stott, Alex Kelly, Naomi McDonald, Tom Turner, Dave Mounfield, and Beth Chalmers.